I love that it smells like old school soap which my grandparents used to use when I was a child. Upon application it immediately felt like your skin is instantly lathered and fresh. What i love about it also is that it contains the activated carbon attracting all the impurities and oils that tend to clog pores, so it works great as a skin prep. I love that from a dark colour it becomes a white foam, so unlikely to stain clothing while using it. One further use I read about but haven't tested is that you may use the foam of this soap to reduce and possibly eliminate dandruff. It did great on my skin that tends to be sensitive to certain products. I did not have any redness or dryness the day I used it nor the days after that. It works exactly as advertised. Skin looks clean and prepped. 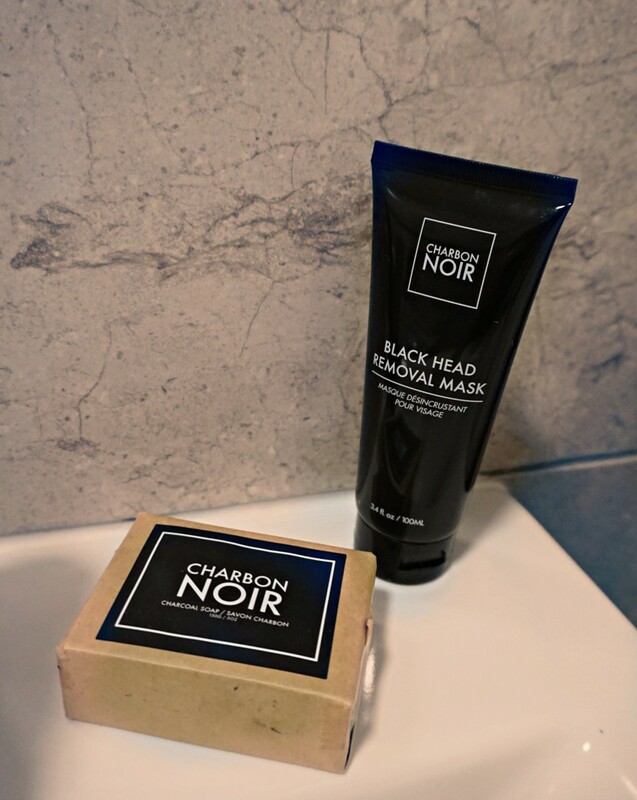 You may ask yourself why 4 stars, that's because I do not recommend you use it without getting the Charbon Noir Blackhead removal mask, so that you can get the best possible results. The black paste smells exactly similar to the Nivea cream. I initially tried it only on a little part of my nose to make sure I didn't develop any kind of reaction. Subsequently, I used it on my nose, forehead and chin. I enjoyed the fact that I don't have to worry of the ingredients unlike other brands who use glue derivate products. My advice is that you leave the product in for 25 minutes at least and make sure it's COMPLETELY dry so that it can remove all the impurities on your skin. It did well overall on my skin. My skin felt clean and fresh. It works exactly as advertised. It took care of all the impurities that accumulate because of pollution or makeup. If you are looking for an extreme effect thankfully it doesn't have those as that would be too much for the skin. Reason why I gave it 4 stars was just in case some of you tried it and expected my five stars to suggest it removed very forcefully all impurities. Adorable pictures of you with the product. I love your blog.